Think like a man of action and act like a man of thought. I hold it to be inalienable right of anyone to do it in his own way. Born in Taiwan at 1985. Doctoral Program in Art Creation and Theory, Tainan National University of the Arts. Doctor of Applied Arts, National Chiao Tung University. Master of Fashion and Communications Design, Shih Chien University. Bachelor of Fine Arts with minor in Drama, National University of Tainan. 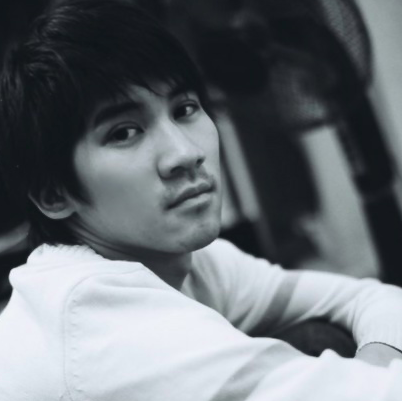 Taiwan-based artist Andy Yen has approached multidisciplinary fields of creation such as visual art, fashion, multimedia, installation and photography. As an interdisciplinary artist with a strong personal visual style, he is keen on creating different forms of art and also specializes in interdisciplinary integration. Andy Yen has exhibited his works in numerous group and solo exhibitions in Taipei, Tokyo, New Delhi, Melbourne, Hong Kong, Shanghai and Shenzhen. Andy Yen’s works between art and design. He also with some of the units like Swatch, Twinings tea, Nike…so on have been cooperation art projects. He organized “Freedom men Art Organization”, an active young artist collective in 2006. Furthermore, in 2012, he created his own clothing brand “Organs without body” taking his creativity to a new field. In the same year, he has made his way towards art and creativity and founded an alternative art space “Freedom Men Art Apartments” and build “Freedom Men Art & Design Co., Ltd.”.